L'encastrable 1100 est la véritable solution pour les âtres de maçonnerie à dimensions réduites. Son dos à 45 degrés favorise l'installation dans une multitude de configurations. De plus, le fond de sa chambre à combustion possède une hauteur de 2.5 pouces qui permet une accumulation prolongée des cendres et rend son usage plus propre. Muni d'un puissant ventilateur de 144 PCM, vous serez étonné par les 50,000 BTU/h de chaleur dégagés par le 1100 encastrable. 94 % des 50 derniers propriétaires ayant enregistré leur garantie se disent satisfaits du produit. Taux moyen de CO : (9) N.A. Âtre – ouverture minimale (Hauteur) 21 3/4"
Âtre – ouverture minimale (Largeur) 26"
Âtre – ouverture minimale (Profondeur) 12 7/8"
Dégagement – protection minimum de plancher sous l'appareil 18" 16"
My name is Mike I live in Anchorage , Alaska and I purchased my Osburn model1100 stove 5 months ago October 2015. I'm very happy I selected this unit with the help of Chimney Doctor . I only have this to say this makes my living space in my 2000 sq ft home much more comfortable , it makes my home very coazy warm on those cold days or nights ! I am very satisfied with my purchase of the Osburn 2400 insert. We recently purchased a very old dutch colonial home that is "drafty" in the fall/winter months. We had a very unique fireplace but very useless when it came to heating the home. The insert was easy to install and seriously cranks out the heat to keep us comfortable. I like my osburn 1100. it was used to put in a fireplace that had become unusable due to negative air pressure in the house after replacing windows and doors. I would definitely buy one again. I am totally satisfied with my fireplace insert. I was quite sceptical about buying one, and that was only because I didn't think that the radiating heat alone would travel around walls, through hallways and into my bedrooms. But in fact, it is true that in a short amount of time the warm air will travel throughout my house heating everything. I have no regrets buying it. It adds to the value of my house, especially since there is no natural gas on my street. Very easy to use also. 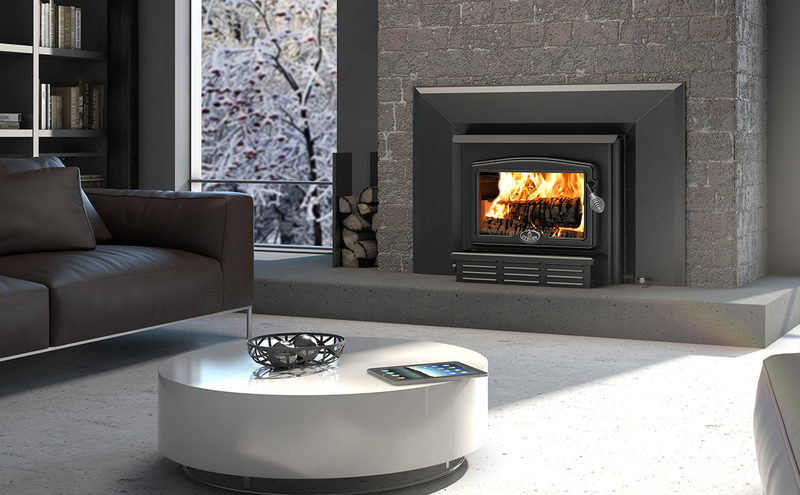 I recommend the Osburn Fireplace insert. In Alaska, we need to be prepared for the unexpected. Our Osburn fits the bill. With extreme cold in the winter, it is important that we can survive for days in case of loss of electricity.